I think that this time in music history is the best time to be a Zep head. With access to You tube and downloads for thier music. To be exposed to live material and performances. When I was 18 in 1989, All I had were second hand taped bootlegs. Not even Cd's. So to you newbies that love Zep. You are so lucky now. Bootleg-wise indeed, I have listened to more zeppelin concerts than ever, but still it would be cool to be teleported back in time to see a seventies performance live and in person instead of listening to a downloaded MP3 of a concert of that era. Minus the tours.....it's a great time to be a Zep Head for me. I know! Just not fair! <_< I'm listening to Rock And Roll right now... daydreaming up a concert.... seeing dearest Mr. Page in that white satin Poppy Suit playing the double neck guitar... :drool: And seeing one of my fave song being played by JPJ (No Quarter)... Awesome! Although I agree about the youtube thing but it cant compare to being there for sure!!! What I wouldn't do to have been born in the 50s. Being a teenager in the 70s, getting to see REAL rock bands, not the crap we get nowadays, and going to Zep concerts. What more could you ask from life. I get so jealous of my dad when he's talking about all the bands he went to see- Deep Purple, Rory Gallagher e.t.c, strangely never Zeppelin though. I wonder if people back then truly realized they were viewing history in the making. To them it was just a concert to a really awesome band. To us now, it would be going to see the gods of rock and roll. I think this many years later, people hold them in much higher esteem. I'm glad I'm a fan now instead of them if I had to make the choice. Also, we don't have to wait for a new album to come out. I know what you're saying. You were born too late to have ever seen them live, but too early to have access to the amazing stuf that is out there now when you were an excitable teen. Its true that as far as access to film footage and rehearsal tapes etc, kids don't even know they're born these days. We would have sold our Grannies for stuff like that. But really, the consensus is right to me - the best time would have been right there in the 70s when all the fun was happening. I was massively lucky to have been at Knebworth, although very young at the time. I would have just LOVED to have seen some of the shows our other forum members have seen. Except I wasn't at Knebworth alas. If you'd been a teenager in the 70s--being a lot younger. I disagree. I couldn't tell you what I wouldn't give to see them in concert. I think people like Aqua are lucky because they were around when Zeppelin was big and they are still here today and they get to see the stuff on youtube, etc. I know how lucky I am--I still wouldn't mind being younger though! Yeah, that would be pretty cool...but then...I don't really wanna be any older than I already am. Just think of it this way, when you're older the young 'uns will be green with envy because you saw some band they love in their heyday. I get that all the time from kids about bands I saw in the 80s and 90s...and that wasn't even that long ago. Well, not to me anyway. I totally agree with you!! LOL!! It WAS awesome for me to be able to see JP in his poppy suit/see Zep when I was at the height of my new-found obsession with them while in college. But yes, to be younger now would be good, too! What year did you get to see Zep? I've told my story already, i'm just too tired to write it again tonight. As far as access to the music is concerned then yes, lots of stuff around now that you just couldn't get when they were still playing. I am old enough to have seen them four times Alexandra Palace in 72, twice at Earls Court in 75 and the 2nd Knebworth. At their peak in 75, but the others were pretty good as well. Still get annoyed that Page hasn't released more live stuff, but a lot of it is out there in good quality anyway. In the 70s I managed to get hold of 3 bootlegs, Blueberry Hill, World Tour (I think recorded in Montreal in 75) and one which I think was called Mudslide, only have Blueberry Hill now others long lost. Since then especially with the internet I have a large number of concerts some good some not so good, but nothing really compares with seeing them live in person. Yes I was lucky enough to have been a teenager (and a bit older) in the 70s and got to see a lot of the greats, but nothing really beat Zep at their best. My oldest son, 21, has said to me many times that he feels that NOW is the best time to be alive for rock music because you still have the legends from the sixties, seventies, eighties and nineties touring as well as the newer musicians. Examples that he sites are Paul McCartney, AC/DC, Metallca, Eric Clapton, U2, and all the new groups that are currently touring and you still have the opportunity to see in concert. He feels very lucky to be able to experience all the good rock music that is currently offered now, from classic to current. A note: he does not particularly like rap and hip hop and wouldn't put them in the category of great current music. Just his personal opinion. 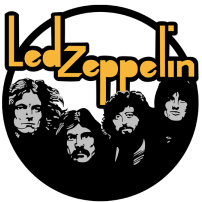 I was fortunate to see many of the classic rock musicians in concert in the 70's and 80's but alas did not see Led Zeppelin then, even though I had the opportunity, because I was not a vehement fan of theirs then like I am now. So very true, indeed. We are so lucky to have all of the access' because of technology. But in all honesty, anytime is the best time to be a Zep Head. Ha Ha. If I had a time machine, I would go and see every single LZ show. I was born in the early 90's, my dad only just managed to see Zeppelin at their last UK shows on 4th August 1979, being 18 at the time. I agree, I was a teenager in the 70's and although I liked LZ I wasn't that into them. I would have been if I had had a chance to see them live or on DVD, but going to rock concerts was beyond my means and my parents were very strict. Maybe I wasn't psychologically ready to really appreciate them either. Now that I'm older and wiser (I hope!) so much in the music seems to ring true. This is the music that stood the test of time. Today's music ruined the way people "groove". theres no swing...no nothing. you were better off being a Zep Head back in the day than being one today. All we can do now is sit and wait for a bunch of stars to align and bring us energy!!! Im telling you man...Robert really knew what he was talking about when he referred to cosmic energy.